Bay Area Insider | Let's sit down and talk real estate! Let's sit down and talk real estate! FHA falling out of favor? “Conventional mortgages are making a comeback while FHA mortgages are not,” commented Thomas Popik, research director for Campbell Surveys today . Real estate agents responding to the latest HousingPulse survey indicated mortgage availability has improved over the summer months, especially for homebuyers with less than 20% cash down payments. “Mortgages for home buyers with less than 20% down were available more than in previous months,” commented an agent from California. “Contrary to media reports, there is no shortage of mortgage money available for buyers with down payments less than 20 percent,” reported an agent in Texas. Despite reports of improving access to financing from real estate markets, the National Association of Realtors is continuing its battle against for greater access to credit. Last week NAR’s president Mo Veissi urged Fed Chairman Ben Bernanke to weigh in on three key rule proposals — the Qualified Mortgage (QM), the Qualified Residential Mortgage (QRM), and the Basel III capital standards — that Veissi said are both putting a chill on lending and have the potential tighten credit further. All three individually and certainly together have the potential to tighten credit. Farr: Is Housing Finally Showing Signs of Life? We have long assumed that the Federal Reserve has been targeting housing above all else with its seemingly endless series of stimulus measures. Housing has been squarely in the eye of the storm since the financial crisis began, and it would be housing, we surmised, that would finally get us back on the road to sustainable recovery. At least that’s what we assumed Mr. Bernanke was thinking in the days and weeks leading to either another rate cut or the announcement of QE1, QE2, Operation Twist, and QE3. The S&P Case/Shiller 20-City Home Price Index rose for the sixth straight month in July (on a seasonally adjusted basis) and now stands 4 percent above the low reported in January of this year. Existing home sales were up 8 percent in August compared to July, representing the highest monthly volume in over two years. New home sales came in at 2+ year highs as well for the second month in a row in August. Housing starts and building permits continue to increase steadily, with the August readings representing close to 4-year highs for each metric. The for-sale supply of listed homes would last just over six months at the current sales pace, representing the lowest level of supply since the prior to the housing crisis. Thanks to super-low mortgage rates and falling prices, housing affordability is the strongest its been in decades. Of course, it is still far too early to crack the bubbly, especially if you are Ben Bernanke or one of the millions of “homeowners” stuck with an underwater mortgage. The remaining areas of concern, which stubbornly won’t go away, are the backlog of delinquent and foreclosed homes, and the huge amount of negative equity. At some point, all those damaged mortgages, which according to the Mortgage Banker’s Association still represent nearly 12 percent of total mortgage loans outstanding, will have to work their way through the sales process. This will create an overhang of supply for many months to come, and the increased supply may offset the price increases we have been experiencing as of late. The problem of negative equity has especially negative ramifications for the economy at large. Many of these homeowners will not be able to take advantage of record-low mortgage rates to refinance their existing mortgages. Therefore, all of the Fed’s work to free up disposable income will be lost on these borrowers. In addition, these homeowners create problems in the labor market because they have limited mobility to move to where the jobs are. And finally, there is a risk that these borrowers, frustrated with their lack of options, start to walk away from their mortgages en masse. Obviously, widespread “strategic mortgage defaults” could negative effect home prices, if that were to occur. For all these reasons, we think it is imperative that the next administration do a more effective job of addressing this serious issue. So, for my part, I still have trouble getting too giddy about the “less bad” housing data we have received in recent weeks. My overarching concern is the fact that it has taken 3.5 percent mortgage rates in order to get this market to stabilize. On top of that, banks are still not retaining the loans they make. The lion’s share of new mortgage origination’s continues to be underwritten via FHA standards or sold to Freddie Mac or Fannie Mae. In other words, the federal government is still assuming most of the credit risk for new mortgage loans. Until the government is out of the game, we will not have a fully recovered housing market. Unfortunately, if the government hadn’t been so involved, we wouldn’t be as anemically well-off as we are. Worries about “what if” aside, it is clear that “what is” is improving. My grandmother (now 104 years old) advises us to “take the tarts when passed.” The improvement in data, however wrought, is positive, and we should be heartened that the fury of Federal Reserve activity has moved the needle in a positive direction. Nana would suggest we take a moment and enjoy some tarts. ( Source: Olivia Just The Stamford Advocate, Conn. (MCT) — Debra Rosholt knows about selling property during tough economic times. In fact, she has sold three homes in three different states — all during the housing bust. When she put her Minnesota home up for sale in 2008, it languished on the market for a year and half. Then in 2010, the house she left in Arizona — “one of the hardest-hit markets” of the recession, as she put it — took four months to sell. So when Rosholt and her husband put their Shelton home up for sale in August, she was worried, but cautiously optimistic that a fledgling recovery in residential real estate was under way. She needn’t have worried. The Shelton house drew four offers in less than two weeks and, by the end of the month, a buyer was found, the papers were signed, the closing date set. Rosholt was astonished. Recent data support Rosholt’s theory. Rental tenants, first-time homeowners and would-be sellers are all beginning to return to the residential real estate market, finding a new confidence in signs that the housing economy is pressing forward again. In Connecticut, the market is starting to look up significantly, with the number of homes sold in August up 15.9 percent year-over-year, according to a report released last week by Re/Max of New England. Pending home sales have surged 48.1 percent, the biggest jump throughout New England, indicating the potential for continued activity and growth in the fall. The momentum in Connecticut, which has been bolstered by sales in Fairfield County, is hardly an isolated occurrence. Nationally, purchases of previously owned homes increased 7.8 percent in August the most since May 2010, the National Association of Realtors in Washington reported last week. Even areas of the country that were severely depressed are growing, something that forecasters didn’t exactly anticipate, said Guy Berger, an economist at RBS Securities in Stamford. Rising rents, favorable mortgage rates, prices that have remained low and, perhaps, less quantifiably, the pent-up urge for home ownership, have all contributed to the recent buzz of activity, local Realtors say. August is typically a slow time for Barbara Cleary Realty Guild in New Canaan, but this year, the firm saw a marked increase in business. Broker/owner Barbara Cleary cited rates of 2.5 percent for a 5-year mortgage and 3 percent for a 7-year mortgage as strong incentives for clients returning to the market or approaching home ownership for the first time. Homes under $2.5 million have been getting considerable attention, while higher price ranges, $3 million to $4 million, are not seeing as much activity. Klein’s office in Westport saw a 63 percent increase in the number of transactions over last year, and more than doubled the amount of income commissions paid. When dealing with recent clients, Klein has seen shorter market times and multiple offers on a single property, signs of a “renewed confidence,” she said. Lonnie Shapiro, a real estate agent with Coldwell Banker in Danbury, speculated that the anticipation of the back-to-school bustle in September, plus the upcoming presidential election, contributed to the August spike in activity in her office. She has also noticed a renewed interest in the market, spread out across all the towns they cover — Ridgefield, Redding, Danbury, Brookfield, Newtown and Bethel — compared with the same time last year. For the economy as a whole, the recovering health of the real estate sector is “without a doubt a good sign,” said RBS’s Berger, since many of the factors that held the economy back stem from homeowners that were underwater or too worried to go to market. “A minus, though is that housing is a much smaller chunk of the economy than it used to be, especially on the construction side,” Berger said. There are indeed happy signs, but no one quite expects the market to ascend again to the heights of 2006 and 2007, Klein indicated — and these more realistic expectations may play a role in getting deals done. U.S. builders spent more to construct homes in August, further evidence of a housing rebound. Still, the increase couldn’t offset cuts in public projects and commercial real estate. The decline lowered construction spending to a seasonally adjusted annual rate of $834.4 billion. That’s nearly 12 percent above a 12-year low hit in February 2011 and roughly half of what’s considered healthy. Spending on office buildings, commercial projects such as shopping centers and hotels all fell in August. That lowered private nonresidential activity 1.7 percent to an annual rate of $288.7 billion, or 7.2 percent higher than a year ago. Government construction activity dropped 0.8 percent in August to a seasonally adjusted annual rate of $274.9 billion. That’s down 3.5 percent from a year ago. State and local activity fell 0.9 percent in August, while federal projects edged up 0.3 percent. While the housing market has strengthened this year, the broader economy has languished. High unemployment and weak wage growth have kept consumers from spending more freely. Manufacturing has stumbled, and businesses are investing less. The Federal Reserve’s latest efforts to bolster the economy enabled mortgage rates to fall this week. Freddie Mac reported Thursday that the average rate on a 30-year, fixed-rate conforming home loan this week matched its all-time low of 3.49 percent. Meanwhile, the average interest rate on a 15-year, fixed-rate mortgage set a new record low of 2.77 percent. Last week,the average rates on 30-year and 15-year mortgages were 3.55 and 2.85 percent, respectively. Yields on mortgage-backed securities, which are tied to mortgage rates, have fallen since the Federal Reserve announced plans to purchase more bonds to stimulate the economy. Prices are up – it’s time to sell! The Standard & Poor’s/Case-Shiller index of home values in the 20 largest U.S. cities showed prices rose 1.6% in July from June and 1.2% from a year earlier. WASHINGTON — Home prices in the nation’s biggest cities have risen to their highest level in nearly two years, according to the housing market’s leading index, indicating that a strong summer selling season has helped put real estate on its most stable ground since crashing five years ago. The Standard & Poor’s/Case-Shiller index of home values in the 20 largest U.S. cities showed prices rose 1.6% in July from the prior month and 1.2% from July 2011. It was the fourth consecutive monthly improvement, helping cement confidence that the real estate slump is over. “The news on home prices in this report confirm recent good news about housing. Single family housing starts are well ahead of last year’s pace, existing home sales are up, the inventory of homes for sale is down and foreclosure activity is slowing,” said David M. Blitzer, chairman of the index committee at S&P Dow Jones Indices. Housing has snapped back this year even as the broader economy and the nation’s employment situation have proved lackluster. Cash-rich buyers, including private equity investors and big hedge funds, have been scooping up cheaper homes in the nation’s hardest-hit areas. Rock-bottom interest rates and low prices have enticed many other buyers as rents have climbed. And the pace of new foreclosed properties has slowed despite dire warnings that a flood of bank-owned properties would hit the market this year. The result is a lack of inventory that has led to more buyers chasing fewer properties, and attractive properties in competitive markets being scooped up in a matter of days. Rising home prices will help those who have mortgage balances exceeding the value of their homes. The number of such underwater borrowers has fallen dramatically this year with the improvement in home prices, meaning one of the most stubborn roadblocks to the housing market’s recovery is slowly eroding. Nevertheless, a full throttle housing rebound is unlikely as long as job growth and household incomes remain stagnant. Indeed, the month-over-month improvement in July was not as strong as the improvement seen from June to July, when prices rose 2.3%. Home prices could flatten or even decline in coming months, producing a jagged recovery, and seasonal fluctuations from month to month should be expected, experts said. Sixteen of the 20 cities covered by the Case-Shiller index posted year-over-year increases in July. Overall, prices in the 20 largest cities in July were still down about 30% from their peak in mid-2006, before the housing market crashed. But prices were up about 8% from their lows in early 2012 and the Case-Shiller index reached its highest point since October 2010. Atlanta had one of the biggest increases in July compared with June, with prices up 2.6%. The city’s real estate market had been struggling, and prices were still down 9.9% year-over-year. Home prices in Los Angeles increased 1.3% in July from June and rose just 0.4% year over year. The biggest improvement from a year earlier was in Phoenix, where prices jumped 16.6%. The Case-Shiller index compares the latest sales of detached houses with previous sales and accounts for factors such as remodeling that might affect a house’s sale price over time. Consumer confidence rose this month as people said they are more optimistic about their situation and the short-term direction of the economy, according to a report Tuesday by the Conference Board. The group’s Consumer Confidence Index climbed nine points in September to 70.3 after declining in August. The increase came as other consumer confidence measures also have risen amid improving economic signs, particularly the rebound in the housing market. The index is roughly back to its February level, before a jump in gasoline prices and other factors helped drive it down through the spring and early summer. “Despite continuing economic uncertainty, consumers are slightly more optimistic than they have been in several months,” said Lynn Franco, director of economic indicators at the Conference Board. The index, which is compiled based on polling of consumers, found the percentage of people who saw business conditions as good rose to 15.5% from 15.3% in August. And 8.3% of respondents said jobs were plentiful, up from 7.2% last month. Consumers also were more upbeat about the direction of the economy over the next six months, with 18.2% expecting business conditions to improve, compared with 16.7% in August. Expectations for continued job growth also rose, as 18.5% of people said they foresaw more jobs in the next six months, up from 15.8%. With those views, 16.3% of consumers expected their incomes to increase in the coming months, up from 16% in August. 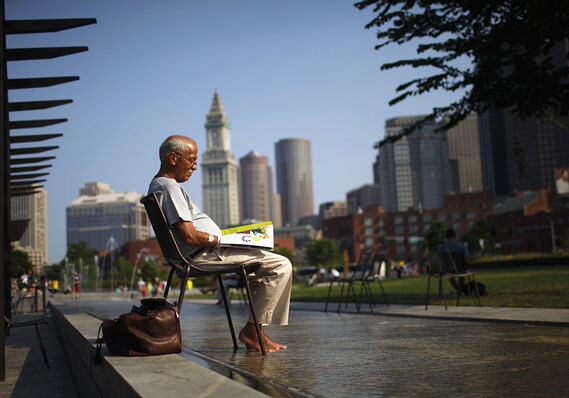 Some retirees want to make their dream retirement move to be near kids or warmer weather, others just want to stay put. CHICAGO (MarketWatch)—Many older baby boomers have been putting off moving for years now, due to weak housing markets, price declines and losses in their retirement accounts. But as markets are beginning to recover, some may be unearthing their buried plans to downsize, move closer to their children or relocate to a warmer climate. Whether they ultimately make a move has a lot to do with their finances and where they live. “I think people are sick of waiting,” said Jennifer Darby Metzger with ERA Justin Realty, in New Jersey. Even if conditions aren’t perfect yet, there will be some boomers who don’t want to wait forever and take the encouraging market signs as a cue to get moving. But there are at least a couple of potential roadblocks to push boomers’ daydreams of moving even farther into the future. The financial crisis not only was a financial setback for some baby boomers, it also did a number on their confidence. “Clearly, I think there are some baby boomers who are in the upper age range…who somehow have come through the financial crisis unscathed,” said Kelly Sweeney, chief executive of Coldwell Banker Weir Manuel in Detroit. “People in those cases are taking advantage of the market and are right-sizing, making a move from the family home to a condo” or smaller single-family home, he said. Fewer people in the area, however, are living the lifestyle that the affluent there have been following for decades: Selling the house in Detroit for one home in a Northern Michigan community such as Traverse City or Charlevoix and another home in Florida for the winter, he said. “Lots of baby boomers are not in the position they thought they would be in 10 years ago,” he said. For some, 401(k) savings have eroded, while others have lost jobs and have been unable to find employment to replace their incomes at the same level. They might be upside down on their mortgages, or have lost so much equity they’re afraid to buy again. Even if baby boomers do have the confidence to sell their home and buy another, the health of the market they’re in will partially determine whether they can pull it off. And the share of young people in the area, as well as strength of the local economy, will set the stage both now and in the years ahead, Pendall said. Generally, where manufacturing has traditionally been a big part of the economy, including parts of Michigan and Ohio, more young people have been leaving the areas than moving in, he said. Fewer young people forming households in those places means reduced demand for housing. And boomers need someone to buy their homes for them to move. Elsewhere in the country, in areas where the economy is more diverse, the demographic shifts may begin to help those in the market to sell. Of course, while some boomers have designs on downsizing or moving to a warmer climate, many stay in the homes they’re in—by choice. Before committing to staying in any home for your golden years, it’s a good idea to ask yourself a few questions first to determine whether it’s the best choice, Thompson said. Those thinking about downsizing may consider transit-oriented developments, where public transportation is in proximity to homes, she said. If you’re staying put, know how you’re going to get around to the grocery store or doctor, whether it involves public transportation or assistance from family and friends. Take on in advance any renovations that need to be made so that the home is comfortable for you as you age, including the addition of nonslip floors, lever handles, adequate lighting and an accessible bathroom on the main floor, should you need it, she said. Trulia’s Chief Economist reveals how you can save hundreds of dollars a month by buying a home instead of renting – especially if you can get today’s low mortgage rates, itemize your tax deductions and plan to live there for 7 years. The most important housing decision that most consumers face is whether to rent or to buy. So to help them with this decision, we took a look at the key market factors affecting the cost of homeownership. First off, asking home prices have started to rebound and have risen by 2.3% year over year in August (3.8% excluding foreclosures); however, rents have risen more (4.7%). This means that prices are lower relative to rents than they were a year ago. But more importantly, mortgage rates have fallen: the best rates this summer have been around 3.5%, while last summer rates were closer to 4.5%. Based on asking prices and rents during the summer of 2012, buying is now 45% cheaper than renting in the 100 largest U.S. metros, on average – that’s a savings of $771 a month. If you plan to stay in a home for 7 years, which is the average time that Americans traditionally live in a home before moving again, it is more affordable to buy than to rent in ALL of the 100 largest metros in the U.S.
With a 20% down payment, a 30-year fixed mortgage rate at 3.5% and at the 25% federal tax bracket, homeownership is cheaper than renting in all of the 100 largest metros by a wide margin. There is no market where the financial decision is even close, so long as you plan to stay in the home for at least seven years, get 3.5% mortgage, and itemize your tax deductions. However, how much cheaper it is to buy a home than to rent really depends a LOT on where you live. Buying is 24% cheaper than renting in Honolulu, 28% cheaper in San Francisco, and 31% cheaper in New York. On the other end of the spectrum, homeownership is extremely affordable in Detroit, where buying a home is 70% cheaper to buy than to rent, and 63% cheaper in both Oklahoma City and Gary IN. Check out the top 10 lists below to see where the cost differences between buying and renting are smallest and largest. * For these scenarios, the factors not mentioned are the same as the baseline. Take Los Angeles, for instance. The top row shows that if you can (1) get a 3.5% mortgage, (2) are in the 25% tax bracket and itemize your deductions, and (3) stay 7 years, it’s 32% cheaper to buy than to rent. In New York, these same differences make buying 3% MORE expensive than renting instead of 31% cheaper. In fact, with a 4.5% mortgage, not itemizing and staying only 5 years, buying is more expensive than renting in Honolulu (by 13%), San Francisco (by 10%), and San Jose (by 4%), too. In the other 96 of the 100 largest metros, though, buying is still cheaper than renting. In Atlanta, for instance, where buying is 57% cheaper than renting in the best of circumstances (3.5% mortgage, itemizing, and staying 7 years), buying remains 40% cheaper even with a 4.5% mortgage, not itemizing, and staying only 5 years. In fact, today’s low mortgage rates make it financially better to buy even if you only stay put for 3 years in many metros. But buying a home also involves a lot of time, emotional energy and financial risk, so we can’t really recommend buying a home that you plan to live in for just 3 years even if the financial calculation is in favor of buying. Money isn’t everything. … why isn’t everyone doing it? Home sales are still less than halfway back to normal, and the homeownership rate continues to fall. The big obstacle holding back renters who want to buy is the down payment – even more than getting a mortgage. And keep in mind, in the metros where the cost of buying is less than half of what it would cost to rent over the long term, it still takes years to save enough for a down payment. It may be 56% cheaper to buy than to rent in Denver, for instance, but it takes more than 8 years to save enough for a down payment there. And high unemployment during the recession made it even harder than usual for people to save for a down payment. On top of that, people who lost their homes or took on lots of debt might not qualify for a mortgage. Bottom Line: Buying may beat renting in every major metro by a wide margin, saving consumers thousands of dollars a year, but buying still remains out of reach for many would-be homeowners. Banks are cyclical. Cyclical stocks are stocks whose earnings increase and decrease with the business cycle. The apparent predictability in the fluctuation of these stock’s prices results in many investors trying to time the market by buying these stocks at the bottom point in the business cycle, when the economy looks its worst, and selling them at the high point when the economy looks its best. Most of the bullish investors in the National Bank of Greece (NBG) see the stock trading at prices well below historic highs, see the Greek economy contracted after five years of recession, and believe that with the backstop of the European community, the lows have been reached and the worst is behind us. My investment thesis for NBG, however, is bearish. I recommend waiting for early signs of a recovery before accumulating shares. It isn’t hard to see how investors calling for a bottom are wondering: How much worse can it really get? The Greek economy has already contracted over 12% from its 2008 peak, the stock market is down about 85% from its 2007 highs, and unemployment is around 24%. Despite these alarming conditions, my opinion is that we still haven’t seen the bottom yet and that we have another leg to drop. To start with, the Greek economy is currently contracting at an alarming rate. 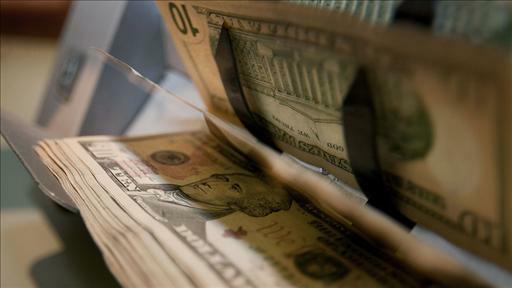 Economists think the economy could be in for another 7% decrease in 2012. Also, the problems in Greece are structural, which means that there aren’t quick fixes that currency devaluation or debt forgiveness can fix. Public sector wages in Greece increased 50% from 1999 to 2007. Tax evasion is rampant. The economy doesn’t have to be efficient before it bottoms out, but the social mood and progress made so far indicate that constructive reforms will be a challenging long-term process. Finally, leading economic indicators and economic drivers like real estate continue to be burdened with problems. As is true domestically, real estate was and continues to be extremely important to Greek GDP. In fact, real estate in Greece has historically represented over 10% of GDP. In 2007, the construction sector employed over 300,000 people. Most investors know that Greek real estate has been hit, but it’s helpful to quantify just how much it’s contracted. As was stated previously, the real estate market in Greece, which was historically over 10% of GDP, is now closer to 7%-8% of GDP. Building permits are at one-third of their 2005 peak levels. Part of the problem is that during the 2007 bubble a lot of the construction was conducted by private individuals who no longer have access to capital. With the banking sector in Greece in critical condition, funding and risk appetite for new building activity is limited. Another problem is that the inventory of Greek real estate for sale is extremely high relative to the buying activity. Some analysts believe it will take at least three years or more to clear the 150,000-200,000 homes that are on the market, assuming transaction activity of around 50,000 properties a year. In 2011, 42,000 properties were transacted. Unless marketing companies can tickle the interest of foreign buyers, many analysts believe the property for sale in Greece will continue to be a GDP drag. However, a lot of that information is already known, and investors are interested in the future. After digging into the condition of the real estate market, my outlook for the Greek economy continues to be muted. We took a look at the second-quarter earnings of Athens-based Titan Cement (TITCF.PK) to see if we could gain some insights into the condition of the Greek real estate market. Titan Cement has a vested interest in the housing sectors in the markets it serves and is a decent proxy for the state of the Greek real estate sector (despite that it has somewhat limited direct exposure to Greece, as explained below). Just looking at the share price performance of Titan Cement it would seem that the outlook for the Greek real estate market could be somewhat bullish. Titan’s share price is pretty much flat against a domestic market down over 20%. The stock is also trading at over 7 times EV/EBITDA, which is in line with its comparable European counterparts (HeidelbergCement, Lafarge, etc.). But digging deeper, reality tells a different story. Despite being based in Greece, Titan really only has about 15% EBTIDA exposure to the Greek market and generates a lot of its profitability from exports. Most of its exports are to the Egyptian and U.S. markets. Titan Cement’s relative outperformance is therefore not necessarily suggestive of a Greek recovery. The eye-opening statements made by management about the state of the construction market in Greece are what really caught our attention. In conclusion, we think that there are continued headwinds for the Greek economy, especially after looking at the housing market. That is bearish for NBG. Real estate could lag for another three years at least. Without a housing recovery, it will take significant help from Europe to take the Greek economy off of life support, and without a healthy real estate sector my outlook is for continued challenges for the nation’s largest bank. We think that it would be best to wait a couple quarters until companies like Titan start suggesting that things have started flattening out at the very least. In our opinion, investors are better off missing out on catching the absolute bottom and making an entry when things look more stable. Don’t get caught calling for a bottom given that things look so bad now, because, unfortunately, things could get worse before they get better. Rates are still low and refis just got easier! Late Friday Fannie Mae gave borrowers and lenders an alternative to documenting income for Refi Plus loans where payment increases will be under 20 percent. Rather than requiring that at least one of the borrowers has a documented source of income, Fannie Mae will now accept verification of liquid financial reserves equal to at least 12 months of the new mortgage payment (PITIA). Documentation can be through one or more recent statement of liquid reserves in bank accounts, money markets, stock accounts, retirement savings accounts, or certificates of deposit. Fannie Mae is also providing streamlined documentation requirements for other underwriting criteria for these loans. Earlier this week Acting Director of the Federal Housing Finance Agency (FHFA) released new requirements which granted relief from reps and warrantees to lenders when a purchase money mortgage had established a 36 month record of on-time payments or when Fannie Mae’s Refi Plus and DU Refi Plus loans had established 12 months of on-time performance. In this latest Selling Guide Announcement Fannie Mae expanded this relief for both types of Refi Plus loans to include a relaxing of appraisal rules. Lenders may deliver loans on properties with a condition rating of C6 and a quality rating of Q6 completed on an “as-is” basis with no requirement for the appraisal to be completed subject to completed repairs. Ensuring that the appraiser provides an accurate opinion, an adequately supported value, and an accurate description of the property. Today’s release, which can be read in its entirety here also provides an alternative qualification method when a borrower is being removed through refinancing, and streamlines verification of rental income for investor owned properties. It is expected that a similar set of guidelines will be forthcoming from Freddie Mac.